"Karl was a great boardgamer, if not the best in the village." "Karl was a great boardgamer, but not the best in the village." "Karl was a great boardgamer, perhaps even the best in the village." They're both valid interpretations, even though they're opposites (in one I'm not the best; in the other I may be the best). 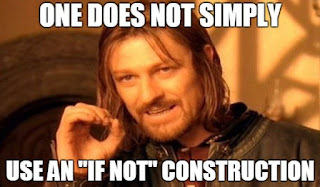 "If not" is an inherently ambiguous construction - so avoid using it unless you intend to be ambiguous. Instead use alternative constructions which make your meaning clear. Readers will thank you for it. P.S. I am quite good at boardgames. An interesting point I hadn't really considered much before. NB Sometimes you do get beaten at boardgames. Yes, it does happen, though I think it stands out as an event due to the rarity.